A while back now I was asked to provide a Country Luxe wedding cake for a styled shoot. I got together with a whole host of incredible wedding suppliers at the gorgeous Barmbyfields Barns in York for a styled shoot which was the brainchild of Stewart Barker of Stewart Barker Photography. He had an idea of bringing together amazing wedding suppliers and gave us a beautiful colour palette of pinks and greens to work with. Here are some photos from that shoot, which featured in Wedding Ideas Magazine (February 2018). 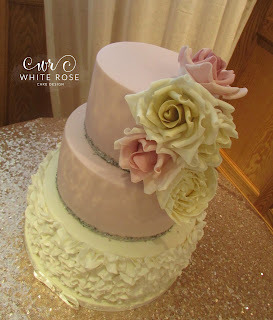 For more rustic wedding cakes, see our Wedding Cakes page and Naked and Semi-Naked Wedding Cakes page. One of the big trends for 2017 is ballet inspired weddings. 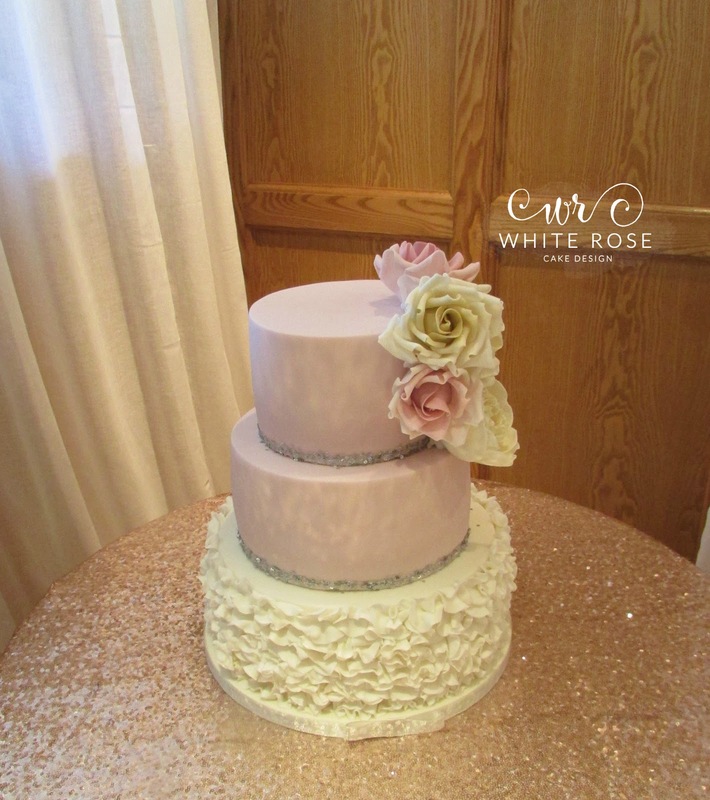 Whether it’s using the ribbons or ruffles, the beautiful feminine colours or something totally different, I can see why this is becoming more popular! Thanks for stopping by, and if you need more inspiration for your big day check us out on Pinterest or Facebook, and give us a follow on Instagram too.